Osama bin Laden’s son has married the daughter of the lead hijacker in the 9/11 terror attacks, a report said. Hamza bin Laden, who has assumed a senior leadership position in Al Qaida, married the daughter of Mohammed Atta, according to a report by the UK’s Guardian. Hamza is considered the deputy to Al Qaida’s current leader, Ayman al-Zawahiri. Atta is the terrorist who flew hijacked American Airlines Flight 11 into the World Trade Center. Ahmad and Hassan al-Attas, half-brothers of Mohammed Atta, confirmed the marriage to the Guardian. 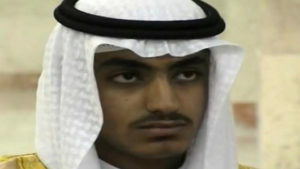 Hamza, 29, is the son of Osama bin Laden and one of the late Al Qaida leader’s three surviving wives, Khairiah Sabar. The senior bin Laden’s wives and their children have returned to Saudi Arabia, where former crown prince Mohammed bin Nayef has given them refuge, the report said. Hamza bin Laden’s marriage to Atta’s daughter appears to confirm that Al Qaida continues to be organized around Osama bin Laden’s legacy, according to the news outlet. In January 2017, the U.S. labeled Hamza bin Laden a specially designated global terrorist – meaning his assets could be blocked and anyone who deals with him faces arrest.